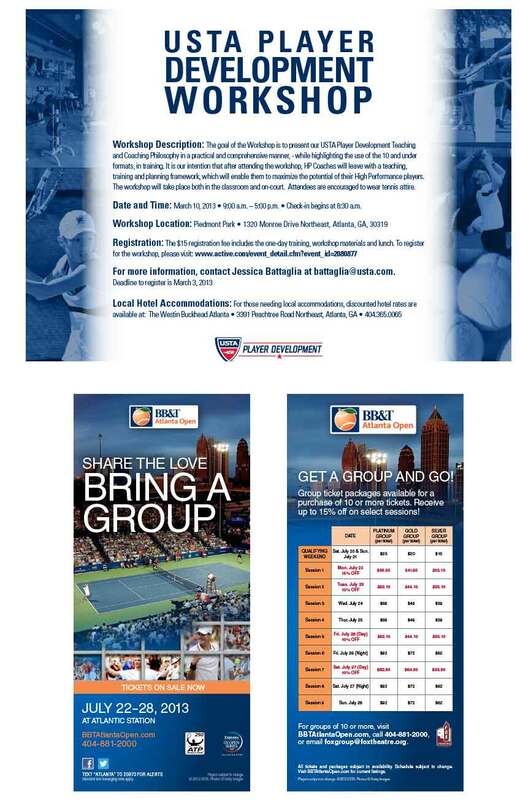 Assist the creative department with the overflow of Emirate Airlines US Open series collateral and products. 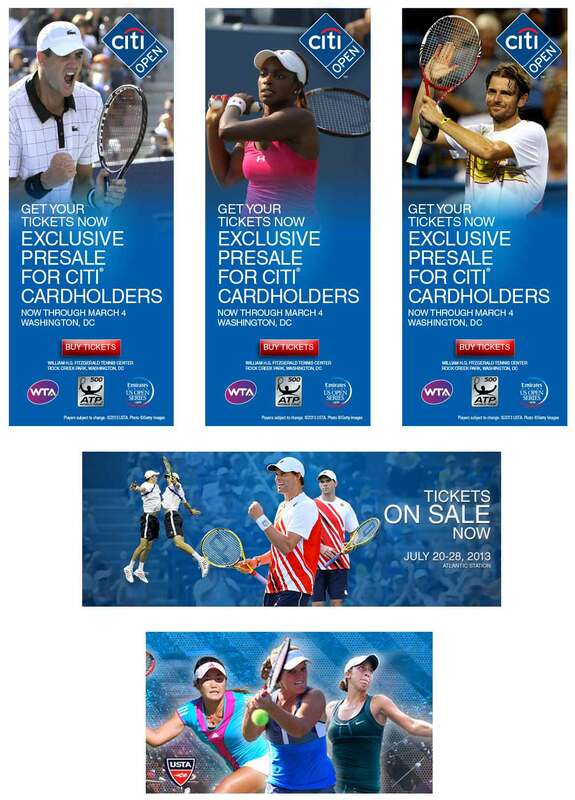 Visual: Billboards, Advertisements, banners, ticketing and tournament and brochures. 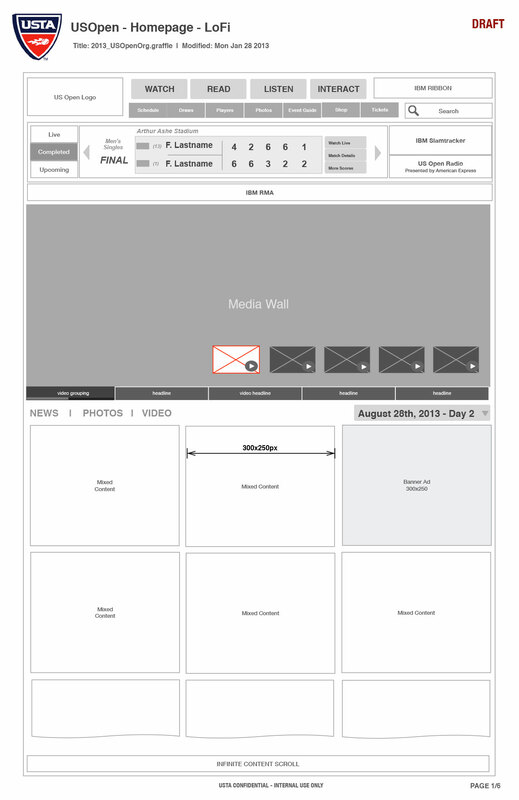 UX: Contributing to wireframing and prototyping for the US Open website and iPad app. 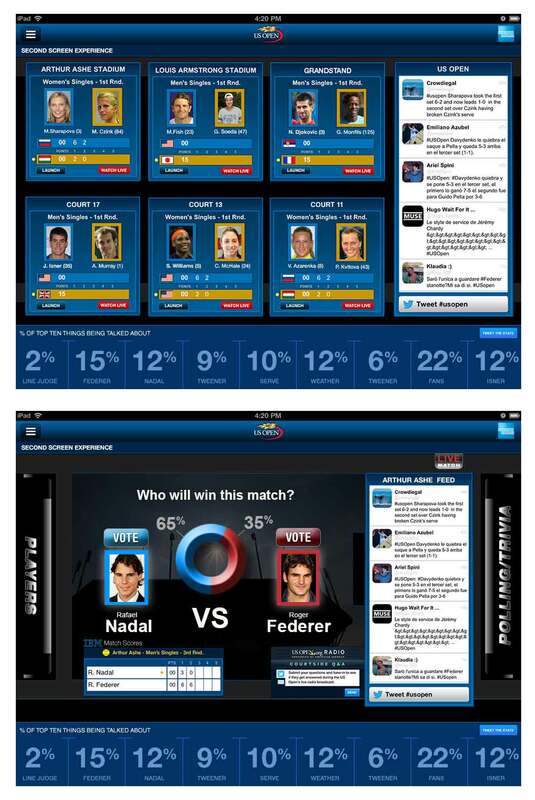 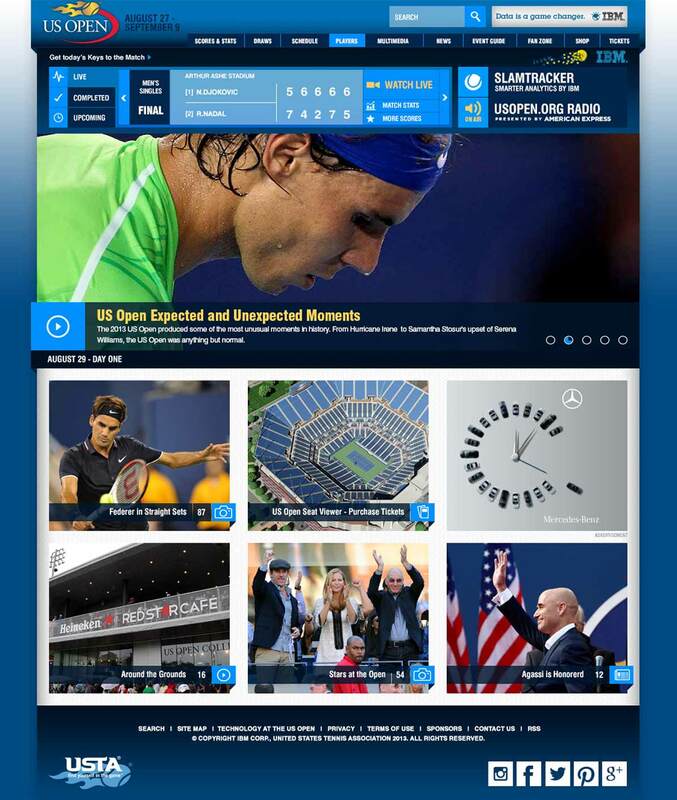 Analyze user personas and journeys and integrate Twitter into the American Express Experience for the US Open.